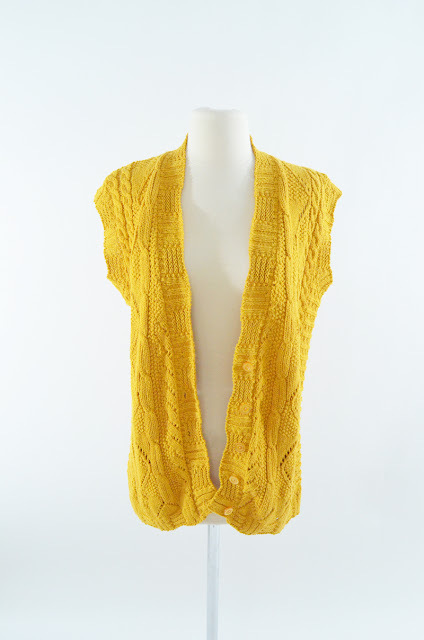 So I'm finally getting around to adding some clothing to the online store! (Hooray!) 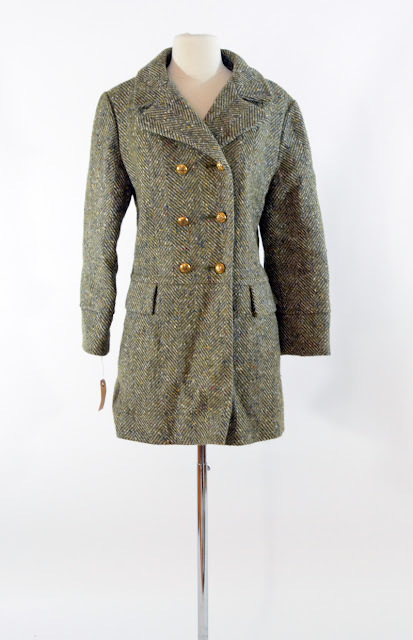 This week it's coats, blazers and sweaters. 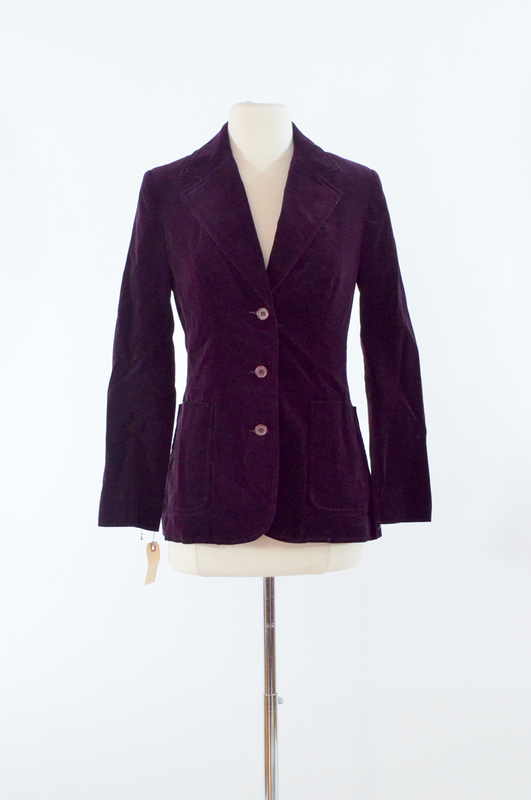 Next week, I'll have loads and loads of vintage accessories, dresses, skirts and vintage baby clothes! As always, if you're local and see something that you like, email me at secondhandwithstyle(at)gmail(dot)com to making a private shopping appointment to check it out! A vintage Leslie Fay plum/purple velvet blazer. 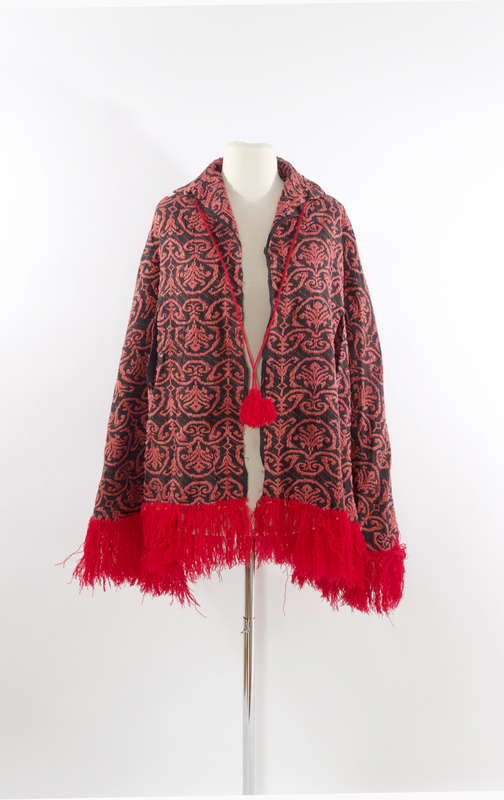 A vintage dark brown-and-salmon tapestry cape/shawl with red yarn fringe. A vintage mustard gold knit sweater vest. 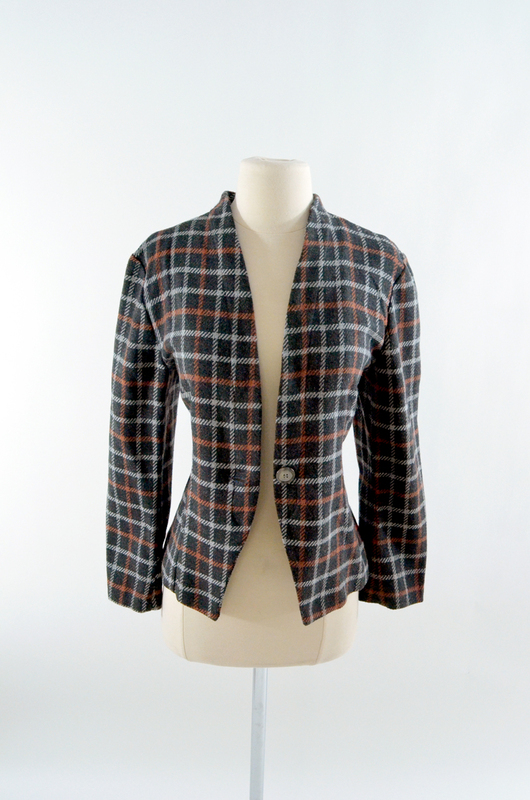 A vintage charcoal gray wool blazer with orange and white plaid. 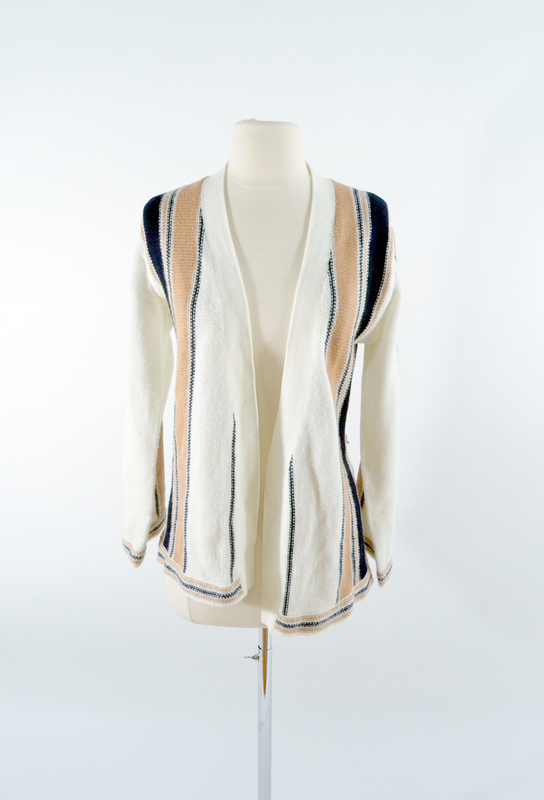 A vintage Joyce cream sweater with tan and navy stripes. A vintage green wool military-style coat. 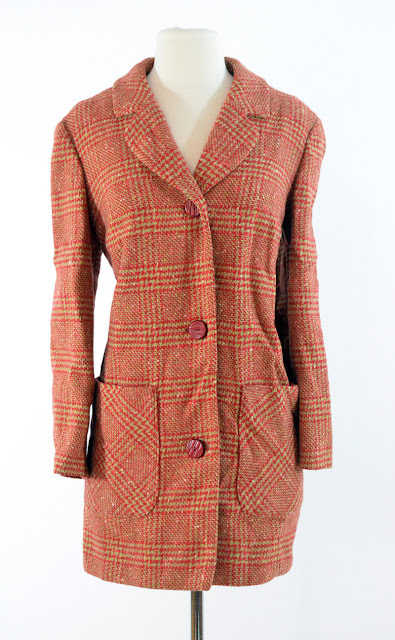 And a vintage red plaid wool Pendleton light coat.